Bring inspiration from nature into your urban environment: the Alvra Shirt Men will feel very comfortable to wear in everyday life. The wool blend used for the shirt adds to the comfort factor. Its slightly brushed inner side makes the material feel very soft and pleasant on the skin. As well as comfort, it also offers effective temperature-regulating properties which will come in particularly useful in stressful situations. An antimicrobial treatment with integrated FreshTech is another practical feature to effectively reduce unpleasant odors. 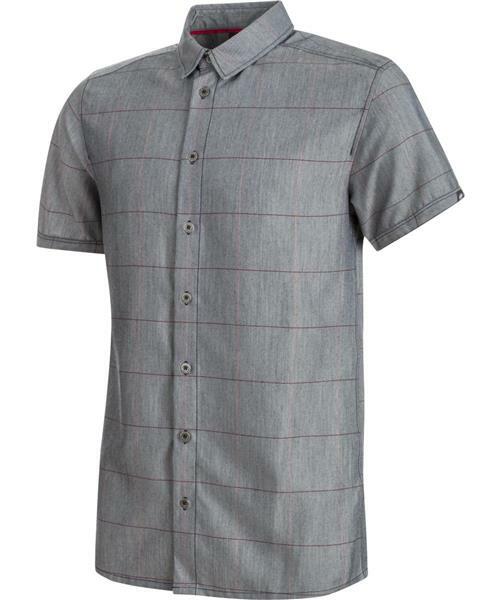 The shirt's understated check pattern emphasizes your style and completes the look.